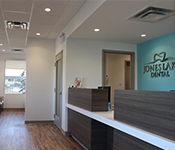 At Jones Lake Dental, we provide exceptional comprehensive dental care including preventative treatment, restorative procedures, surgical treatments, and implant placement. Dr. Matt Bradshaw is committed to excellence when it comes to dentistry and is extremely gentle when working with our patients. He believes that great dental care means comfortable dental care and strives to make each appointment an enjoyable and productive experience. Together with our hygiene team, Dr. Bradshaw is committed to preventative treatment to keep you and your family healthy and to avoid common dental conditions such as decay and periodontal disease. 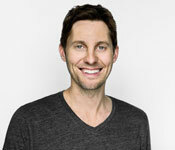 Dr. Bradshaw offers a wide range of restorative treatments to keep your smile healthy for many years to come. From fillings and crowns to dentures and implants, we offer solutions for every situation, condition, and patient. When it comes to surgical procedures like dental implant placement and extractions, we provide most treatments in our Moncton dental office. Dr. Bradshaw received proper training to ensure successful, comfortable surgeries and even utilizes laser dentistry to complete many procedures, resulting in shorter recovery time and less pain. We offer dental implant placement and restoration including implant-supported dentures to provide function and security. Ultimately, the greatest dentistry in the world is meaningless unless we deliver it with friendliness, understanding, and compassion. Our team is truly committed to providing you with dental care that works for you and finding solutions to your oral health problems. That means we listen to you and build a relationship of trust by treating you with respect. We are firm believers in treating people the way we would treat our own families. 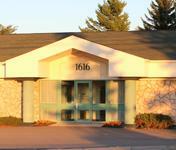 If this sounds like the dental office for you, call us today and schedule your next exam and cleaning with us. We believe that we can offer a dental experience like no other and contribute to your health by providing outstanding oral health care.